This article is a short selection from the Power Nutrition chapter from Greg Amundson’s new book FIREBREATHER FITNESS. 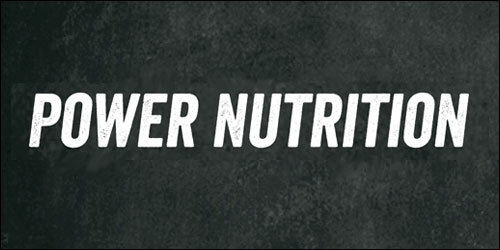 When it comes to body composition, nutrition is number one. Exercise and activity are definitely important, but altering your metabolic machinery through gaining control of your nutrition is what will stimulate a radical change in body-fat levels and help you reach that weight-loss goal. And it may even be more powerful. The foods we choose to eat and the portions of those foods have monumental effects on our metabolism and hormonal regulation. What does this all mean for you? It means that the express lane to being in top physical condition is working to match your conditioning program with smart nutrition. It’s not just the express lane. It’s an autobahn. Excess body fat will become a primary energy source. Exercise will assist the process, but diet is the main driver of body composition. Your energy levels will improve and stay consistent. If you’ve been eating a diet high in processed carbohydrate (for example, pasta, cereals, and breads), you’ll notice this change within the first week, maybe even the first few days. Mid-afternoon low-energy crashes will vanish. Hunger will be controlled. Reconfiguring your diet to include moderate amounts of healthy fat and protein mean less blood sugar and insulin chaos in your body. The result? You won’t be under the merciless dictatorship of hunger. Energy, stamina, and endurance in workouts will soar. A response to replacing a high-carbohydrate diet with a balanced, smart diet biased toward real foods is that the energy machinery of your body will go through a retrofit. The energy-producing mechanisms and enzymes of the cell will become more efficient at burning stored body fat. You’ll notice an immediate payoff in your workouts: more power, more muscular stamina, and more cardiovascular endurance. The diet I’m talking about is the Zone Diet, as formulated by Barry Sears, PhD, in the 1990s. Originally an MIT-trained cancer-drug researcher, Sears knew that he was genetically wired for a heart attack based on the early deaths of his father and uncles from heart disease. Sears realized that the most powerful drug, when it comes to optimal expression and repression of our genes, is not a pharmaceutical. It’s food. Food can make us or ruin us. He began working with Olympic swimmers in the 1990s, and the results were clear: A diet that centered you in the sweet spot of hormonal regulation unleashed top physical performance as well as health. If we look at food through the lens of its impact on the body’s complex and powerful hormonal system, then it’s not just how much we eat that makes a critical difference to health, energy, and performance, but what we eat and when we eat it. A diet high in carbohydrates has the potential to drive the insulin response into unhealthy areas. High carb intake also mutes the body’s capacity to burn stored body fat as a ready fuel source. So when you shift your diet toward the macronutrient ratios Sears suggests, your body provides a more balanced hormonal response. And that’s the prize. It means inflammation throughout the body is lower, muscle mass is higher, and body fat burns more readily. 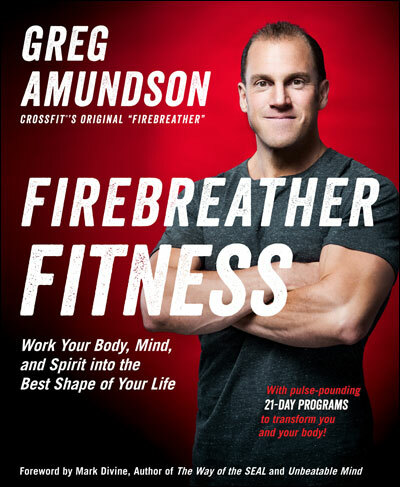 Firebreather Fitness is Greg Amundson’s program to help you get into the best shape of your life, physically, mentally, and spiritually. Firebreather Fitness is based on sound science, personal stories of influential fitness and thought leaders, the most current research, and years of experience coaching athletes and warriors to elite performances both in the gym, in life, and on the battlefield. Packed with practical advice and vetted training methods, Firebreather Fitness is a must-have resource for new athletes, veteran sports enthusiasts, coaches, and anyone interested advancing the quality of their life. PREORDER TODAY! Order from VeloPress.com, your local bookseller, or from Amazon.com, BarnesandNoble.com, or other online retailers. © 2019, Gregory Amundson. All Rights Reserved. Website design by Brooktown Design.